Posted by Carolyn Burns Bass in commercial fiction, historical fiction, weekly topics. Throughout history, the arts have led the way for many social, political and religious transitions and transformations. Only since the last century has sports–particularly on the professional level–provided a platform for change and led to the equal opportunities we now enjoy. This week in #litchat we’ll discuss books that feature controversies and characters who dare to swing against society. 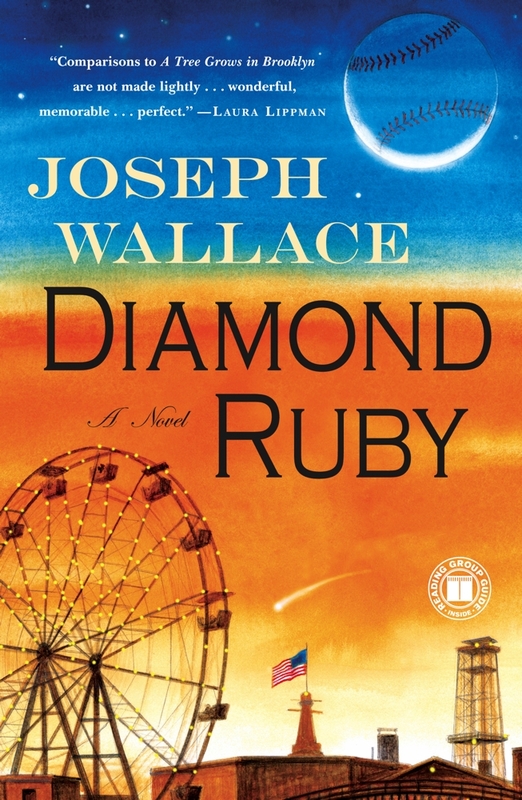 Guest host on Friday, May 17, is Joseph Wallace, author of Diamond Ruby. A lifelong writer and lover of baseball, Wallace’s imagination took off when viewing a photo of a young female pitcher from the early 1930s, a Jackie Mitchell from the Chattanooga Lookouts who once struck out Babe Ruth. Wallace learned that shortly after the photo was taken of Mitchell shaking the Babe’s hand with a grinning Lou Gehrig looking on, the Commissioner of Baseball banned women from participating in professional baseball. Wallace’s debut novel, Diamond Ruby, is the result of that moment of wonder. Before writing Diamond Ruby, Joe worked as a freelance writer, having written about everything from dinosaurs to robots to the latest advances in medicine and threats to the environment. Most recently he found himself writing on two subjects: short stories in a noir vein and books about baseball history. He has stories and features published in a number of prestigious anthologies. When not writing, Wallace speaks about writing in workshops and mentoring programs to children and teens. 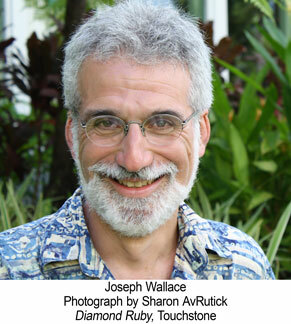 Follow Joseph Wallace on Twitter at @Joe_Wallace.